Home » inspirations » I was badged! Hooray, this completed my day! This is the first appreciation badge I've ever received. I wanted to spread the happiness so I am passing this badge to other deserving bloggers. In no particular order, here are some of my blog friends who deserve the Versatile Blogger award. Duni is a crafter, self-taught designer and entrepreneur from Germany. She designs and produces flirty sleep wears, sleep masks and bags. Her selling pieces are made of high quality, stylish and comfortable cotton fabrics. If you love floral and other refreshing colors in your sleep wears then Duni's shop is meant for you. You can view her Etsy Shop here. Shelia showcases her beautiful and happy home in her blog. Aside from her incessant passion of maintaining beauty in her home, Shelia is a music lover. She always ends her posts with a lively and a heart-warming song. If you feel sad or tired, try to visit Shelia's blog. Shelia never fails to leave a smile to her readers. Jannelle is a fellow Filipina blogger. She is a dedicated wife, working mom, and a great crafter. In short she is a superwoman! I wonder where she gets the energy to fulfill those roles. She specializes in upcycling, accessories, toys to clothes. She designs and makes clothes for herself and her daughter. Visit her blog and be amazed by her great creations. Aside from being my name mate, I will never forget Diane because she was one of my first followers. I maintained this blog for months without followers. I met Diane through the One World One Heart campaign sponsored by Lisa of A Whimisical Bohemian. Diane loves books, decorating her home and traveling. My name mate never fails to share the beauty of each place she discovers to her followers. If you want to go places, visit her blog and take the "blog ride" of your life. An old door knob, useless keys, old newspapers, who says that these things are junk? Well Betsy is the best to save the day! I have been amazed by how she transforms vintage stuff to wonderful decorative items. Visit her blog and discover how her creativity spread beauty in almost every useless thing you see. Yadira is one of the newest blogs I follow. 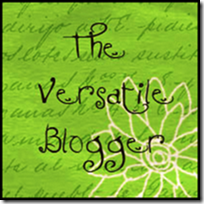 Her blog logo will give you an idea of what Yadira specializes. Yadira is in to sewing bags, wallets and other beautiful pieces. She loves colors and incorporates them to beautiful and useful pieces. I used to love painting when I was a kid. I would love to draw and experiment with my water colors. I lost the interest in painting as I grew up. Good thing there's Jen. Jen brought me back to the world where I learned to dream and express beauty. If you want to see paintings made from the heart, visit Jen's blog and revive the kid at heart in you. Christina is one of the few Filipina bloggers that I follow. Christina is into arts and crafts too. She draws, produces accessories, and other decorative items. Aside from showcasing her creativity, I admire Christina's Christian devotion and involvement in the community. She and her family engage in activities aimed to empower our less fortunate brothers and sisters. I can't recall how I found Mercedes' blog. Perhaps I stumbled on her in one of the blog parties I have participated. Mercedes is a miniaturist from Australia. She particularly produces the cutest and elegant miniature of doll houses. Visit her site become a big fan of her small but beautiful pieces of art works. I hope I could literally pin this badge to my fellow bloggers. If it is not too much too ask, I would like to ask a simple favor from my awardees. Please pass the Versatile Blogger Award to other equally deserving bloggers. Let us spread the award, love and happiness in the blogosphere. P.S. All the pictures used in this post are not owned by the author. Pictures were taken from the site of the respective bloggers. Yay! How cute! Thank you very much. This was a very nice surprise. :D I just blushed. I was sick yesterday, that's why I didn't see this until now but I LOVE it. Diane, you are the very sweetest! I am humbled, truly. I will definitely share this on My Happy List post tomorrow (Saturday). You are very deserving of this badge, my dear. Your blog defines definition, and it truly is versatile. I love reading your blog because it seems so real. And it also helps that you are a writer with talent. Oh my goodness...you sweet, sweet thing! Thank you SO much for this. It means the world to me. :) I was just telling my hubby last week how wonderful the blogging world is...to have friends all over the world & get little glimpses into what they love. Thank you my sweet friend! Thank you so much Diane, you put a big smile on my face this morning. Your blog has been such an inspiration to me too. I always love hearing about your travels, adventures,culture, and your precious family. See the wonders of wood! Do you want new books?